AD318 Scoreboards feature high quality ultra-bright LED displays which can be custom designed to your requirements and are suitable for any indoor and outdoor areas. We can provide a wide range of screen colours, sizes and pixel resolutions, which are capable of displaying impressive video, graphics and text. Installation can be wall mounted, pole mounted or gantry mounted. 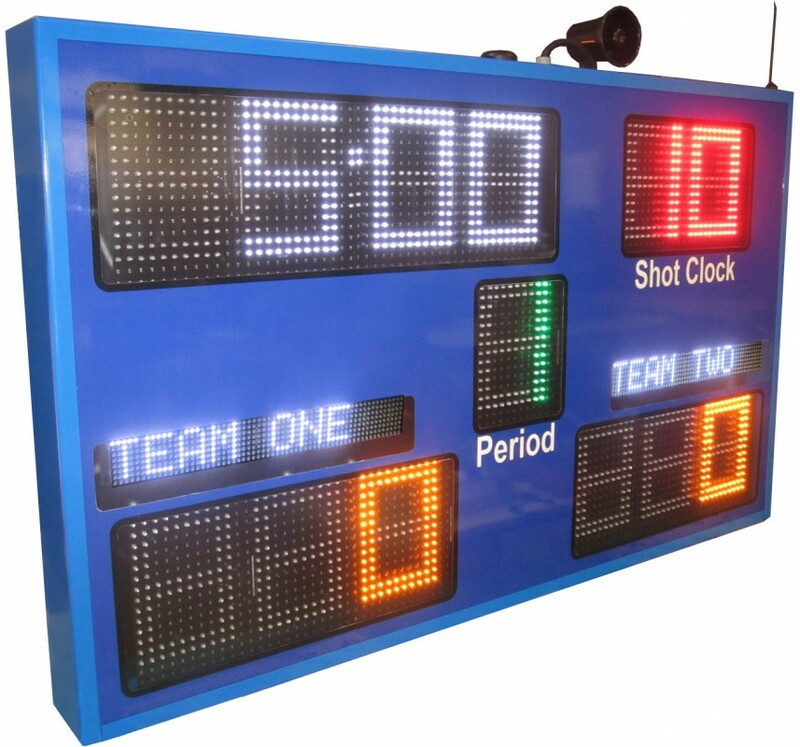 The scoreboards can also be used to promote business, products and events, and may therefore attract additional advertising revenue for your business. An extensive range of image formats and media sources provide flexibility for display content. Screen display software can cater for different sports formats and provides the setup and control of the screens. Multiple scoreboards can be linked wirelessly to an easy to use single hand held controller. With low maintenance requirements, superior reliability and a long service life, our scoreboards are designed to meet your specific requirements. Contact us today to make your sports come alive!